Willes K. Lee is the Hawaii Republican Assembly’s (HIRA) National Director and the National Federation of Republican Assemblies’ (NFRA) Pacific Region Vice President. Willes is on the NRA Urban Affairs Committee, the first from Hawaii to be appointed to an NRA committee. 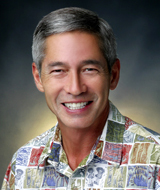 He is the first from Hawaii to be on the Board of Directors of the American Conservative Union Foundation. Willes is a former Republican Party State Chairman, Vice-Chairman, and Rules Committee Chairman. He was a member of the RNC, and is a founding and current member of the Republican National Conservative Caucus. Willes is married with two grown daughters. He is retired from the US Army, lives on Oahu and attends Our Savior Lutheran Church.